Hi, Naoya here! I started working here in Yokohama Central Hostel from January 2017. 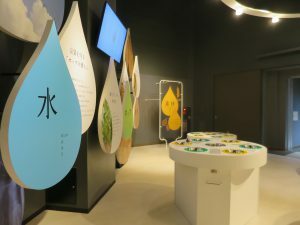 This hostel is located 6 minutes away from Kannai station by foot. 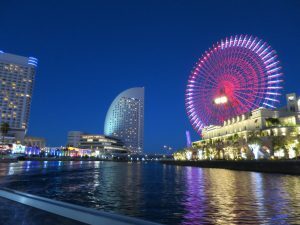 Famous touristic places such as Yamashita park, China town, Minatomirai are also walking distance from our hostel that is why many guests choose us as a base camp for travelling around Yokohama. Working in a hostel like that, I thought it was necessary to know more about the area. Definitely YES! 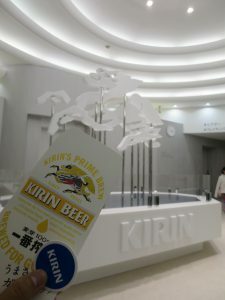 Thus I went to check out KIRIN Beer factory which had been my dreamland for so long. 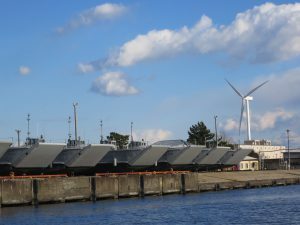 I used a ferry tour via Keihin Ferry（京浜フェリー） this time. 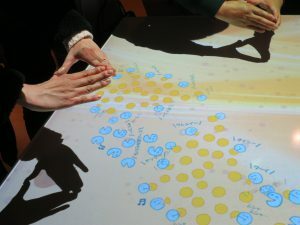 It costs 1,500 YEN. 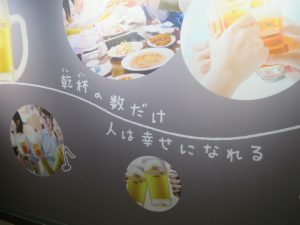 The Keihin Ferry tour takes you from Zou no Hana Park （象の鼻パーク）to KIRIN Beer factory, back and forth and gives you free admission and 3 glasses of beer for FREE! It was cold outside but the weather was clear, which gave us a nice view from the port. It is roughly 10 minute-walk from our hostel to the park. 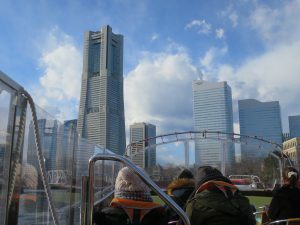 Although the guide only speaks in Japanese, it’s still interesting just to roam around the Yokohama Port on a ferry. 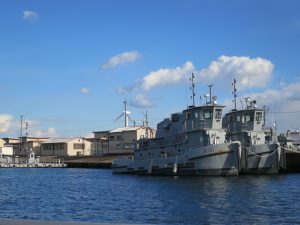 It allows you to see the US Military facilities, as seen on the picture above. 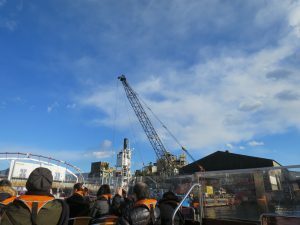 The guide also told us that there is no other ferries which comes to that point in Yokohama Port. 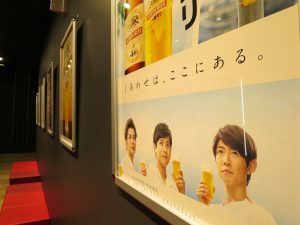 And here we are, KIRIN beer factory! First thing, we got a pamphlet and a badge from the receptionist upon entry. 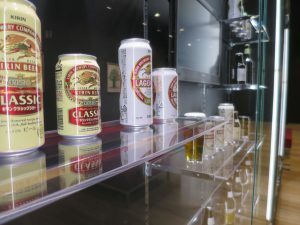 We also got a free can of beer. I had been looking for happiness for a long time, and finally got a chance to get it. 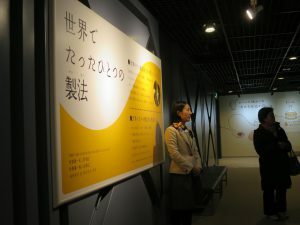 The tour begins with a video presentation that explains the history of the factory, then a lady guide takes us to other spots. 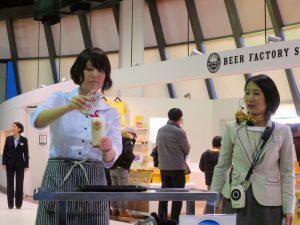 You can also eat raw malt, and smell a hop grain. The malt tastes good! 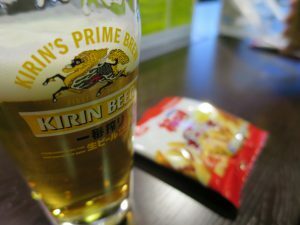 Ichiban-Shibori 一番搾り is a flagship bland of KIRIN beer, which is very popular in all over Japan. 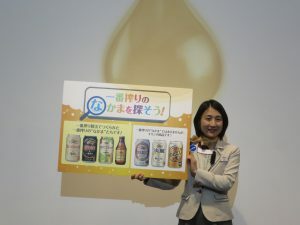 I also like this beer and it was an interesting experience to taste the original juice of it. It tastes so good that I even thought it could be sold as it is. Ok, now I know how to be happy. Yay! After watching bottling process and so on, finally, it’s beer tasting time! Tadaaa! Here it is, Ichiban-Shibori. They also gave a small pack of snack for free. 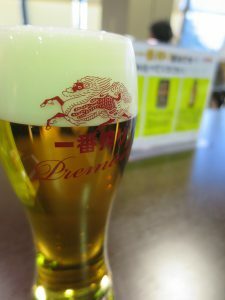 You can also try another beer like this. 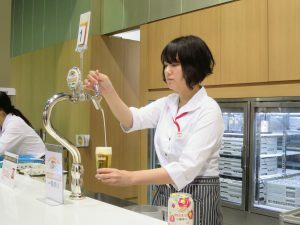 I was drinking while listening to a girl explains how to pour beer into a glass to make it taste better but the time has come, so I got out of the factory without receiving the third happiness in a glass. Soft drinks, fruit juice and tea are also available for children and for those who don’t drink alcohol. 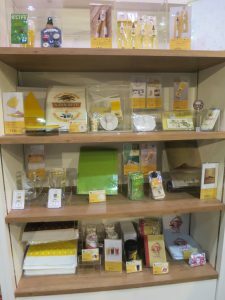 You can buy some souvenirs at the shop as well. 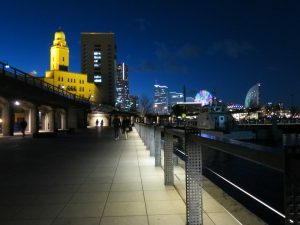 It was already dark on our way back but the night view was amazing! 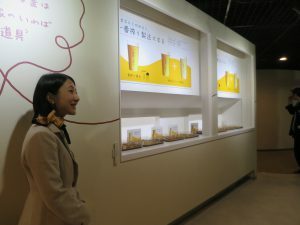 Actually the Kirin Beer factory tour is for free all year round. Just make a reservation in advance using their official website or book by phone. 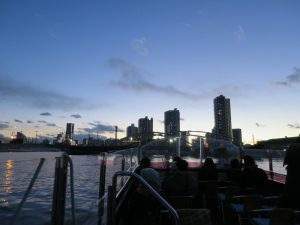 However, it is also good to go by ferry half-drunk while watching night view of Yokohama, personally speaking. 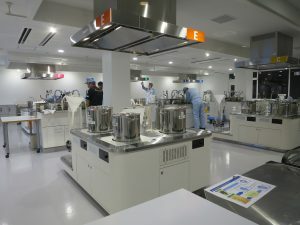 I think it is a good value for 1,500 YEN only. 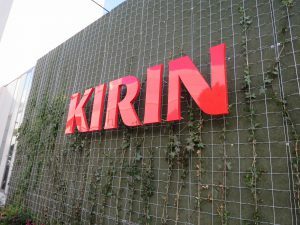 KIRIN beer factory is located near Namamugi生麦 station (Keikyu line), or Shinkoyasu新子安 station (JR line). 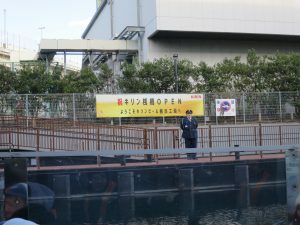 If you’re coming to Yokohama, it would be a good idea to visit KIRIN beer factory by ferry. 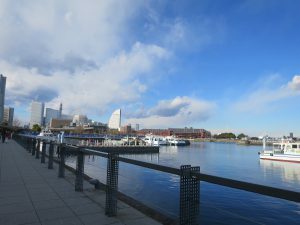 From Yokohama central hostel, it’s very easy to get to the departing point. If you stay with us, we can also help you to get there and make a reservation etc.